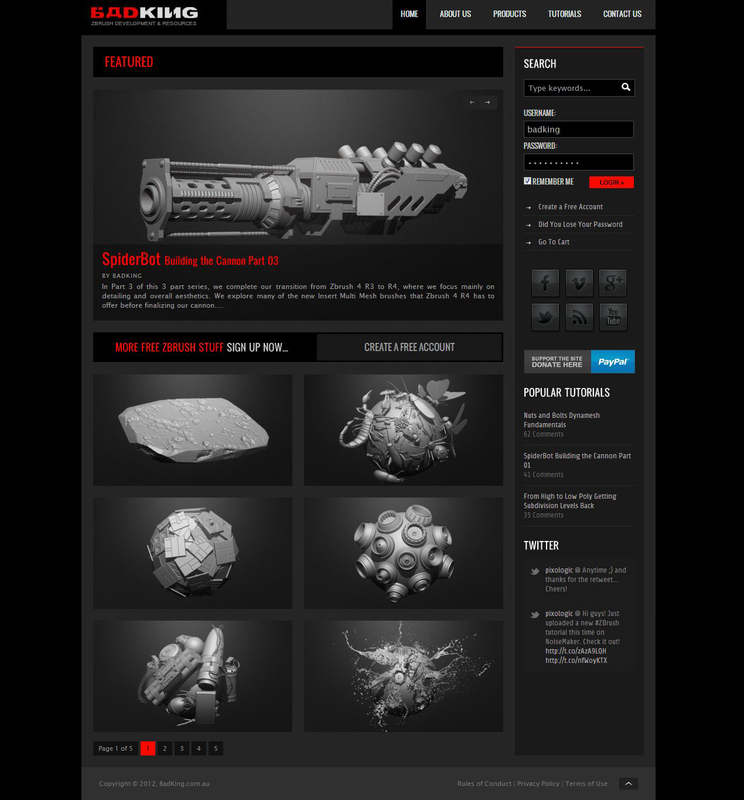 Over the last 6 months I’ve have been building a Zbrush Resource Site for everyone to use and giving away all that I can in regards to tutorials, ZBrush Models, Brushes, Alpha Maps, etc. I thought I’d jump onto CG Society today and share some of the resources I’ve managed to put together. Please comment and let me know what you think or how I can improve the site. Hey BadKing…i;ve done some of your tutorials they are great. I pushed a little more brightness and contrast of the scene, put a darker bluish and greenish at the scene in a very subtle, with a little magenta and yellow, made a uniformity with the warm and cool tones bringing an air of mystery to the scene. Once you hit all these details, applied a simple light effect in After Effects itself on two points: The first was on the left side of the image near the ear to simulate some volumetric light, the second point was above the cigar which intensified the light that had, thus simulating the sunlight.